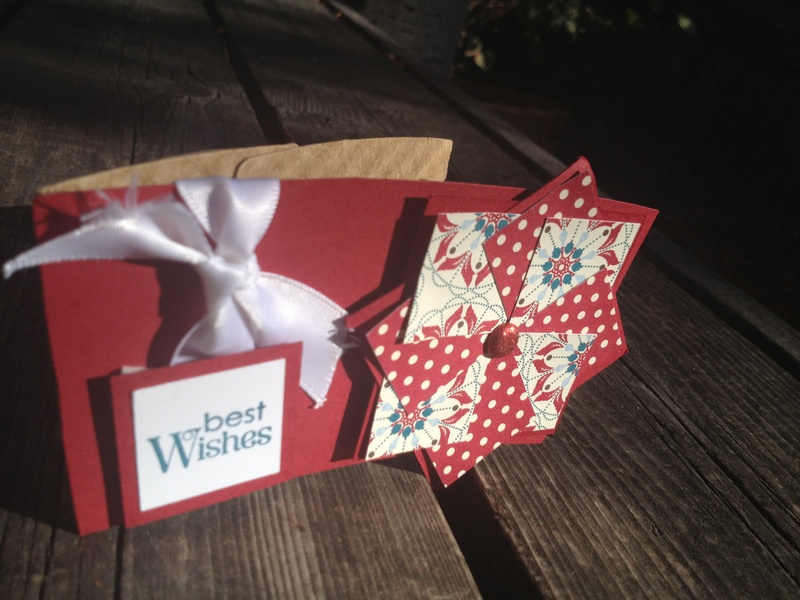 Do you want to add a personal touch to your gift card giving this holiday season? This holder is a unique way to recycle the sleeves from your cup of Joe. In this class, featuring the Scentsational Duo, you will make 5 unique gift card holders using some recycled items you have in your own home. Check out these from a recent private class. Want to see your project on my blog? Attend one of my classes to see it here and on Facebook! This entry was posted in Christmas, Class Photos, Gift Card Holder, Gift Giving and tagged cherry cobbler, coffee sleeve, Festival of Prints, gift card holder, giftcard holder, Petite Pairs, stampin' up! on November 18, 2012 by katzcreates.